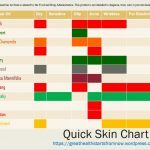 These are the cheat sheets on what essential oils to use on different types of skin. Do NOTE that every individual will experience different reaction. Use CARRIER OIL when you are new to YL Essential Oils. 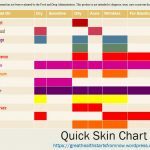 The ratio of dilution depends on the types of skin as well as the essential oil used. It can be 1 : 1 (1 drop of essential oil versus 1 drop of carrier oil) or it can be 1 : 20 (stored in the dark glass bottle for the next usage). There is no fixed guideline (for general guidelines, you can click here). You just have to experiment. You know your skin best! You can even mix with YL ARTS range. It’s not advisable to mix YLEOs with commercial products unless stated otherwise.